Singer, Keyshia Cole,36, who is now dating a 22-year-old rapper, Niko Khalé, says she has dedicated her whole heart to him. ‘Major VIBEZ!!!!!! When I dedicate my heart to something, I’m ? % in…. most, especially in today’s world, don’t feel that way. Tho, Mentally we relate (Contrary to belief) spiritually. 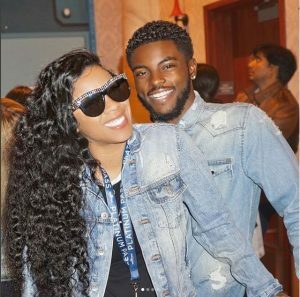 0 Response to "36-Year-Old Keshia Cole Says She Has Dedicated Her Whole Heart To Her 22-Year-Old Rapper Boyfriend Niko Khalé"